As ever, it’s exciting to see which cognacs triumph in the various different competitions over the year. After the Ultimate Spirits Challenge, the World Drinks Awards and the Worlds Spirits Competition, yesterday the International Wine & Spirit Competition (IWSC) has announced their results. The IWSC was the first competition of its kind, and now in its 45th year, it is still one of the largest and most respected of all. Below are the ‘Gold Outstanding’ and ‘Gold’ award winners in the cognac section. This Single Estate XO is the oldest of the ABK6 cognac range, an both elegant and complex cognac. You can buy this ABK6 bottle online at a price of $110. Double Crown is part of the Abecassis group, producing Cognac from the Petite Champagne only. The Double Crown Tres Vieux Cognac is the flagship of this house, using old and rare eaux-de-vies. 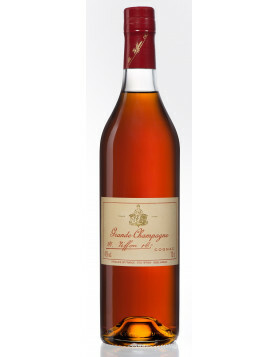 This Grande Champagne Cognac was introduced as a product in 1920, and represents 80% of the company’s production. The blend consists of selected eaux-de-vie from the Grande Champagne region producers and growers. You can buy this Delamain bottle online at a price of $108. 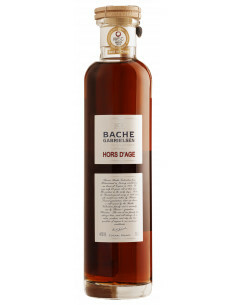 Bache Gabrielsen Hors d’Age is a 100% Grande Champagne, a 1st Cru cognac. The oldest eaux-de-vie in the blend date back to the year of 1917 and the youngest around 1960. This Cognac takes over 50 years to make. The grapes used for this blend are Ugni Blanc, Colombard and Folle Blanche. You can buy this Bache Gabrielsen bottle online at a price of $232. As the name suggests, the Louis Royer Extra Grande Champagne is made from eaux-de-vie taken from the Grande Champagne region only. 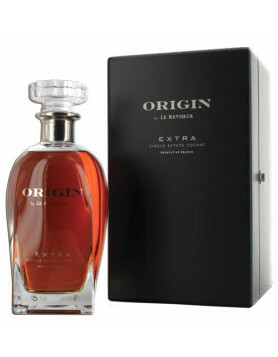 A well-balanced and powerful Extra blend, strong and intense with a dominant finish. As Double Crown Le Réviseur Cognac is part of the Abecassis group. This XO comes from the Petite Champagne growth area. You can buy this Le Reviseur bottle online at a price of $95. Gautier Cognac is one of the oldest cognac houses. Embodying the first ageing of Cognac, the Gautier VS has been carefully crafted by the cellar master of Maison Gautier essentially from Cognacs from the Fins Bois and the Bons Bois for a perfectly balanced and harmonious Cognac. You can buy this Gautier bottle online at a price of $37. And again J. Dupont Cognac triumphs – with a VSOP Cognac. The judging tasting notes say: A lovely floral nose leads the way to a palate packed with flavours: fruity, with dried apricot to the fore, and a glorious honeyed sweetness that lingers to very end of the persistent finish. Creating cognacs from all six terroirs of the Cognac growing region, Cognac Louis Royer traces its history back to the year 1853 and is known for a wide range of quality cognacs. The Louis Royer VSOP cognac is a blend of top crus.You can buy this Louis Royer bottle online at a price of $55. With strong ties to the Scandinavian country of Norway, the history of Cognac Tiffon dates back to 1875. Tiffon Reserve de la Famille Chateau Triac is an exquisite Cognac that was aged for 50 years and more in oak casks.